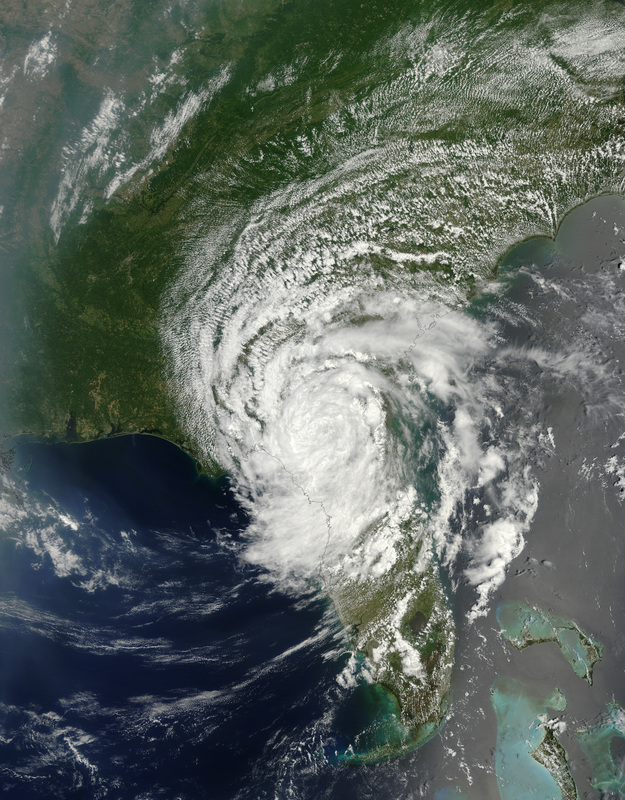 By 11:00 a.m. on May 28, 2012, tropical storm Beryl had weakened to a tropical depression, but it was still soaking parts of northern Florida and southern Georgia, the U.S. National Hurricane Center (NHC) reported. The tropical depression was located about 60 miles (100 kilometers) west-northwest of Jacksonville, Florida, with maximum sustained winds of 35 miles (55 kilometers) per hour. 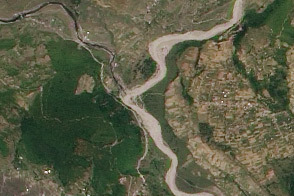 The Moderate Resolution Imaging Spectroradiometer (MODIS) on NASA’s Terra satellite captured this natural-color image of Beryl around noon local time on May 28. 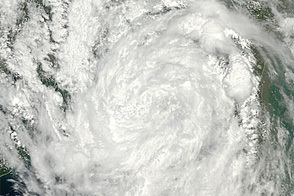 The main mass of storm clouds was west of Jacksonville, with spiral arms extending over Georgia, Florida, the Atlantic Ocean, and the Gulf of Mexico. On May 29, the NHC warned that Beryl could produce total rain accumulations of 5 to 10 inches (13 to 25 centimeters), with amounts up to 15 inches (38 centimeters) in isolated areas. News outlets reported that, aside from rain, damage from the storm had been fairly minor, although winds had downed trees and briefly knocked out power to about 20,000 Jacksonville residents. 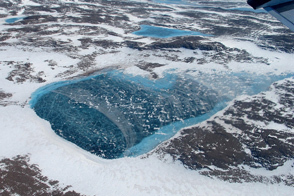 NASA image courtesy Jeff Schmaltz, LANCE MODIS Rapid Response Team, Goddard Space Flight Center. Caption by Michon Scott. 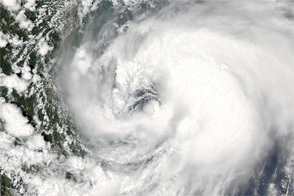 Acquired May 28, 2012, this natural-color image shows Tropical Depression Beryl over Florida and Georgia. 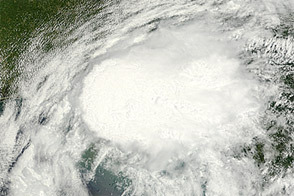 Tropical Storm Beryl formed over the Atlantic Ocean in late May 2012 and made landfall in the southeastern United States. Associated Press. (2012, May 29) Beryl brings rain, little damage. Accessed May 29, 2012. Morris, M. (2012, May 29) Remnants of Tropical Storm Beryl spinning across south Georgia. The Atlanta Journal-Constitution. Accessed May 29, 2012. National Hurricane Center. 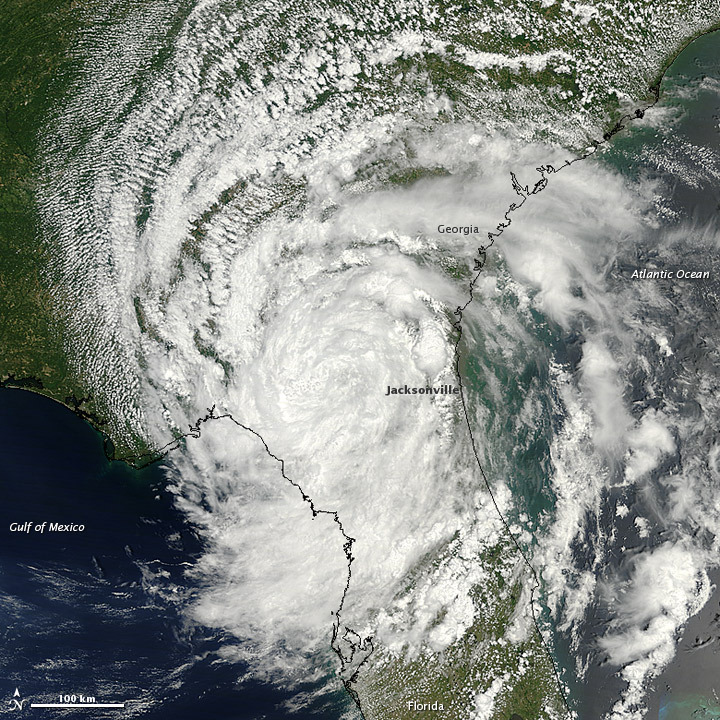 (2012, May 29) Tropical Storm Beryl Advisory Archive. Accessed May 29, 2012.